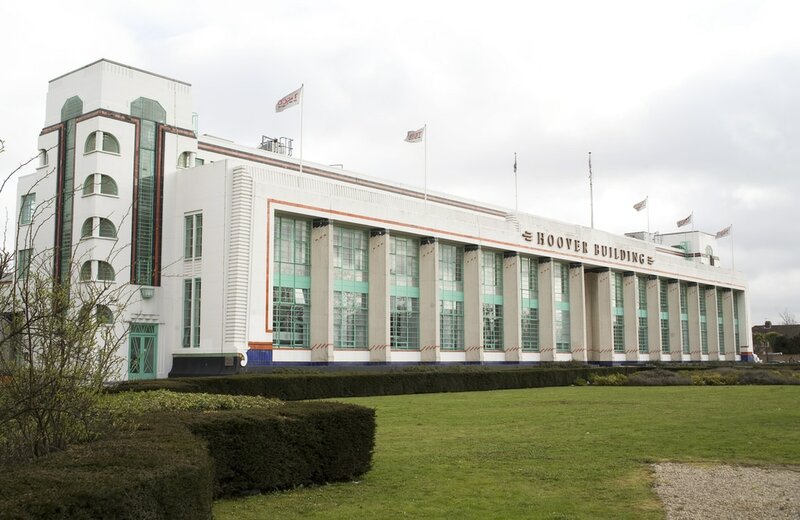 Notes: The Wallis, Gilbert and Partners designed Hoover Building is one of the most iconic of the 1930's Art Deco factories. The site contained offices, a factory and staff canteens. Hoover left the building in the 1980's and it was empty for many years. It now houses a variety of companies, with the rear converted into a supermarket.